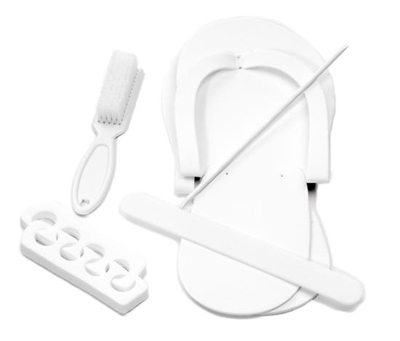 This Pedi-Pack is a complete pedicure kit that keeps each treatment sanitary and easy to clean up. Includes slippers, toe separators, manicure brush, plastic sani file, and Birchwood stick, packaged nicely in a color coordinated package. Color: White.